Spies? Or trusted partners in the 5G transformation? Find out - read my latest column in the Tech section of USA Today. At Intel’s broad #datacentric unveiling event in San Francisco last week, Siemens and Intel unveiled new artificial intelligence technology that results in real-time analysis of three-dimensional cardiac MRI data - without the need for costly, specialized hardware. The development could help make cardiac MRI accessible to far more patients. Read more in my latest LinkedIn post HERE. We’ve spent much of the past few years watching in dismay as new reports shed light on just how the internet giants like Facebook and Google have been treating our personal data. Most of us want to take some control of our information, surveys reveal, but don’t know how. Help may be on the way. This new brief from FeibusTech, produced in association with FigLeaf, builds a framework for what an online privacy service should look like, now and in the future. Read that HERE. 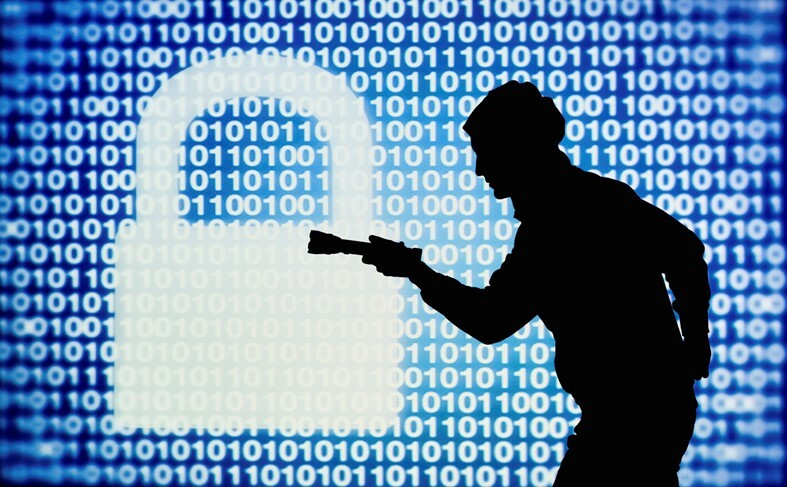 And for three things you can do now to start protecting your privacy, don’t miss my latest column in the Tech section of USA Today HERE. Buoyed by a combination of rich product and service selection, as well as a clearer path to reimbursement for clinicians, remote patient monitoring began to break through at HIMSS19 last week in Orlando. The centerpiece for many of these new core solutions, like what’s shown here at HP’s booth, are intelligent home health gateways. Care providers are configuring kits around home health hubs to help keep patients healthier and more engaged, addressing a wider variety of conditions with a growing number of connected devices. In the years ahead, the adaptability of home health gateways will serve the market well, as emerging technologies like 5G, voice UI and rich new sensor data will enhance existing capabilities and create new ones. FeibusTech expects myriad improvements to the insight clinicians will have at their disposal to keep patients healthier, minimize preventable readmissions and contain costs. 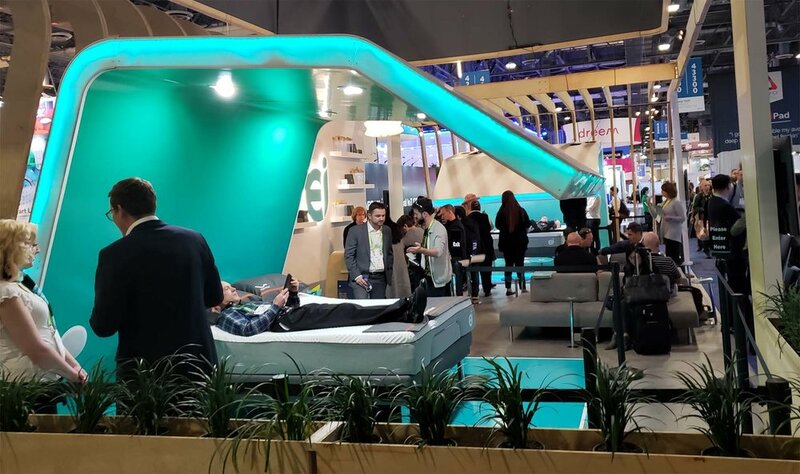 As it happens, the over-stimulating city of Las Vegas during the bustling CES consumer electronics event turned out to be a great place to be for those in search of a good night’s sleep. The Sleep Tech section of exhibits hosted chillers, headbands - even smartphone apps - to help improve shuteye. The popular section grew more than 20 percent over 2018, while overall square footage on the show floor was flat. Check out my latest column in the Tech section of USA Today for a rundown of the latest sleep tech. Time to Give Wearables Another Look? Wearables today are smarter. They have better battery life. They give better advice. So if you’re on the millions who years ago stuffed their old fitness tracker into the sock drawer, then it may be time to take another look. In my latest column for the Tech section of USA Today, I look at three new wearables: the Apple Watch Series 4, the Fitbit Charge 3 and Samsung’s new Galaxy Watch. Is one of them right for you? Find out. Check out my column here. For some added insight you won’t find in USA Today, don’t miss my latest FT Insights video HERE on YouTube. The future’s long seemed rosy for remote patient monitoring as a great way to expand the footprint of care in this country and around the globe. And while long-term prospects are still huge, the segment is really starting to take off in the here and now. That was certainly the vibe at the Connected Health Conference in Boston last week. But you can see for yourself. I produced a suite of videos at the show on behalf of Intel. 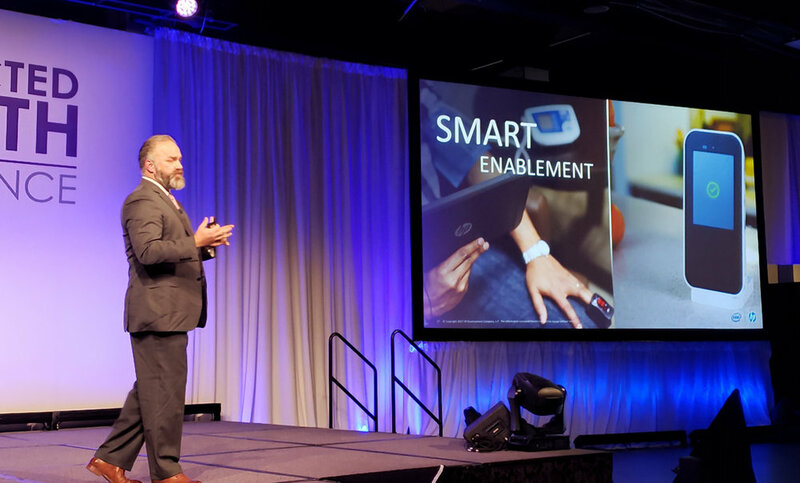 Once you see them, I think you’ll agree that remote monitoring is here NOW - and the Intel Health Application Platform is a growing part of it. Reid Oakes, HP’s head of healthcare. Reid and I discuss agile care, the importance of data for quality care, and HP's collaboration with Intel to make that all possible. Jennifer Esposito, GM of Intel’s Health & Life Sciences Group. Last day of the show. I caught up with Jennifer on the show floor to discuss the big takeaways from Connected Health. Intel and Aventyn share results of a promising new study. Filmed on the show floor and on location at Dignity Health’s Mercy Gilbert Medical Center in Arizona, the pilot gives us a glimpse of what’s possible with remote patient monitoring. Enrique Estrada, Director of Strategic Solutions, Care Innovations. At Connected Health, Care Innovations unveiled a kit that enables a new level of flexibility to respond to patients’ changing conditions. It’s based on iHAP, Intel’s home health hub. Barry Reinhold, President & CTO, LNI (Lamprey Networks). The underlying standards are critical to give providers the ability to mix and match personal health devices and ship the data into the electronic medical records. Barry explains why Continua and FHIR are so important to the underlying framework - and why it’s a big deal that Intel’s health application platform supports both. Today’s home broadband connections are robust. Yet subscriber satisfaction is at an all-time low. ISPs can fix this perception gap, protect their subscriber base and revitalize growth. Find out how - read FeibusTech’s latest Research brief HERE. Netgear today unveiled Orbi Voice, a first-of-its-kind hybrid product that merges the best of two fast-growing smart home products: whole-home mesh Wi-Fi and high-quality smart speakers. The speaker is co-developed and co-branded with premium audio maker Harman Kardon. But it's more than just a great-sounding speaker. Orbi Voice also acts as a mesh-network satellite. So rather than slowing Wi-Fi with real-time bandwidth demands - as many intelligent speakers do - Orbi Voice actually improves performance by managing communications as well as extending the network into far corners of the home. Orbi Voice is powered by Qualcomm chipsets, and makes use of the wireless pioneer's latest self-organizing network, or SON, technology. If you already have an Orbi mesh system, you can buy the Orbi Voice Satellite as a standalone item, for $299.99. Or you can pick up a kit for $429.99. Those are suggested retail prices, so you might be able to find them for less. I'll be adding the Orbi Voice Satellite to my Orbi Pro network soon. So stay tuned for my thoughts on this category-creating product! Machine learning, the most common foundation for building artificial intelligence algorithms, absolutely requires big data to identify patterns. That turns out to be one of the biggest hurdles for AI today. Researchers often don't have enough data to give them a sample size large enough to draw conclusions. Combining multiple data stores to build a sufficiently large set can be a very expensive, time-consuming and labor-intensive process. Montefiore Health Systems in New York seems to have overcome this tyranny of big data in the healthcare space. Their sophisticated PALM platform is able to blend multiple data stores and churn out life-saving AI algorithms with a speed and ease that few believed possible. In cooperation with Intel, Montefiore embedded Mike Feibus, FeibusTech's Principal Analyst, into the healthcare system to learn more about this game-changing new platform, and how Intel Xeon Scalable processors are helping to drive the PALM team's success. Don't miss Embedded Analyst: AI Without Borders, FeibusTech's compelling new Research Brief. As many as one in four of us HATE needles. Some will even go so far as to forego the care we need just to steer clear of syringes. Finally, needle-free innovations are beginning to poke their way through. Find out more. Check out my latest on what's here, and what's coming soon, in the Tech section of USA TODAY. If you're only interested in hearing about it, then head on over to iHeart Radio, where I talk about my column on The Daily Dive. Feel free to skip over the important issues of the day and head straight to my segment. It begins at the 13-minute mark. Now, finally, technology is at the point where IT managers can actually dispense with passwords. So the network is secure. And employees get access quickly and painlessly. Everbody wins! Find out how. Read my latest CIO Magazine column HERE. At HIMSS last week, I participated in a Facebook Live roundtable discussion with Singularity University's Dr. Daniel Kraft and Cisco's Global Director of Healthcare and Life sciences, Barbara Casey. We didn't come up with all the answers. But hopefully our checklist will help your transformation go a little smoother.